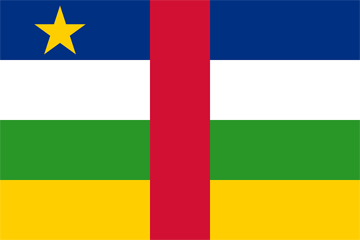 For info and a FREE quote on auto transport to the Central African Republic through A1 Overseas International, call 1-800-450-5319 or fill out the form! To transport a vehicle to Central African Republic, one must find a trustworthy and capable international auto shipping company. This will make the shipping process possible and make import into the country legal. Of course, it is important to abide by the requirements and restrictions set by the Embassy of Central African Republic as well. The vehicle owner should contact the embassy months ahead of the international auto transport to assure they are aware of the current policy set for vehicle import and export. One must comply with the regulations in order to gain access into the country for the vehicle. These requirements will need to be fulfilled and proof will need to be provided to Customs before entry is allowed. By providing certain documents and information, you can be well on your way to having your vehicle shipped overseas. Not only will the above information be necessary, but the vehicle may be asked to undergo inspection. If passed, the certificate of approval will also need to be presented to Customs. Your A1 Overseas International professional will gladly help you through the entire vehicle shipping process so that you are never left confused or misguided.